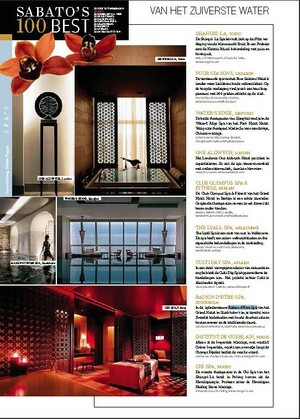 one of top spas in the world, according to the belgium newspaper De Tijd. Grand Hotel was chosen one of the top 100 destinations for a honeymoon in Conde Nast’s Brides special Honeymoon Guide. 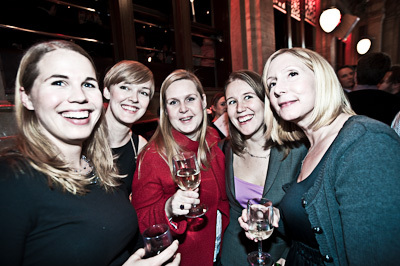 During the Swedish Tourism Gala - Fotografiska (photo museum) was awarded the Swedish Grand Tourism Award (Stora Turistpriset 2010). The prize honors exemplary efforts in innovation, internationalization, quality or durability, which has helped to develop tourism in Sweden. The award ceremony was held in cooperation with the RTS, travel and tourism industry in Sweden, in Swedish Tourism Gala at the Stockholm Concert Hall (Konserthuset). - We are proud to receive such a prestigious award only five months after the premiere. This is a great recognition for us, "said Per Broman and Jan Broman, founders of Fotografiska. The jury's full motivation reads: "In a very short time has created a photographic Swedish world-class attractions in Stockholm. Through a bold and innovative venture in photography opportunities as a medium they have created audiences attractive exhibitions, a meeting place for knowledge and experiences and training. Major tourism prize aimed at promoting development in the tourism industry has really been achieved through the successful collaboration between amateur and professional photographers. The Photographic also established itself in an industrial heritage with all amenities, shows that you have managed to establish a business that not only is in keeping with the times but will also offer future opportunities ". 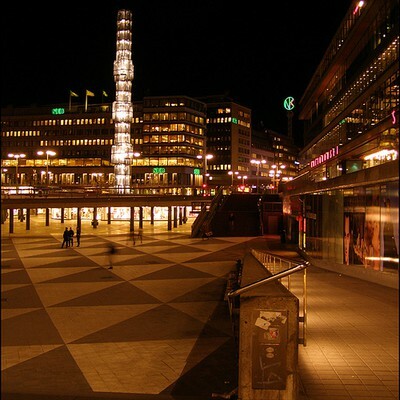 Did you know that Stockholmtown is on Facebook (Visit Stockholm). 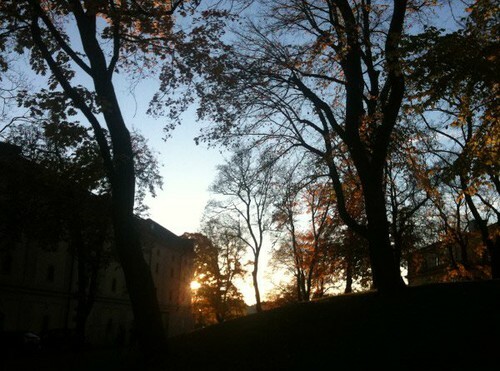 Our editor just updated the facebook site with some amazing Stockholm images (see above). Go see for yourself. For the seventh consecutive year, the Radisson Blu is the preferred hotell group for business travellers, according to a survey. Every year, the London-based research firm BDRC does a "Continental Hotel Guest Survey" in over 40 countries worldwide. The Nordic study is based on interviews with Danish, Norwegian, Swedish and Finnish business travelers. Radisson Blu was chosen as the preferred hotel group. There are five, soon six, Radisson blu hotels in Stockholm. Longing for Stockholm? Here's the cure. Expedia are launching a Stockholm campaign right now with some good offers. Stockholm was chosen "årets eventarena" (best place for events) by the EventAcademy. The price was awarded for the Stockholm Stopover in connection with Volvo Ocean Race in 2009. Rough Guides, a leading publisher of travel and reference information, loves Stockholm. Stockholm is found among the top five destination for a summer in the city vacation. "Stockholm is a beautiful city to visit at any time of year, but it really comes to life in the summer months when it's warm enough to see the sights and explore the city to the full. Many visitors are unaware of Stockholm's secret weapon – the spectacular archipelago featuring a staggering 30,000 islands, islets and skerries – and just a boat trip or ferry ride away from the city"
Stockholm is the most popular swedish city in Sweden. SJ Barometern (State railway travel index), a survey about tourism in Sweden shows that Stockholm is the most popular city to visit this summer among the swedes and the Stockholm archipelago one of the most popular destinations. The users of Tripadvisor have listed their top 25 destinations in Europe. The Swedish Capital Stockholm is found on the fifth place. 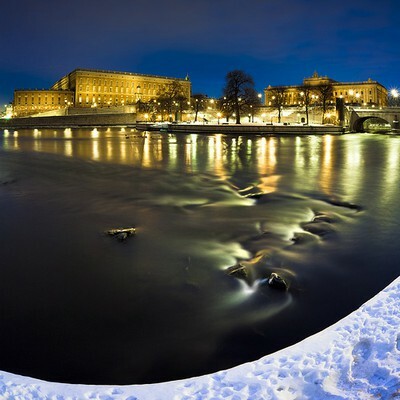 Old town, the beautiful Royal Palace, the view from Kaknästornet, children friendly activities and elegant hotels made the top position according to tripadvisor. 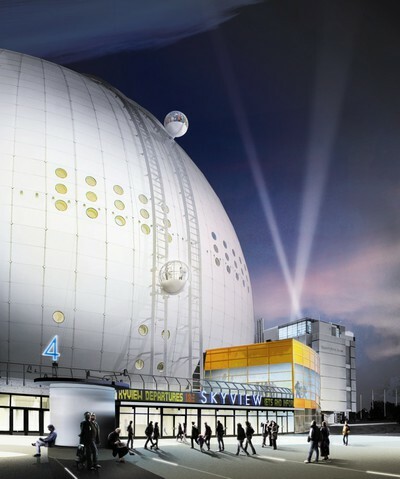 Stockholm SkyView opened on February 5 this year and has already been recognized internationally by the trade competition Stadium Business Awards. The winner will be announced in Dublin June 17. The award aims to recognise achievement, innovation, fresh thinking and the leaders in the world of stadium, arena and sports venue management. Sunday Times lists the world’s 12 sexiest cities in their april issue of their travel magazine. Stockholm is, as only Scandinavian city, found on the list in the company of cities such as: Rome, Bath, Havanna, London, New York, Berlin, Paris, St Petersburg, Sevile, Tangier and Istanbul. "Know the moment you realise you’ve got the hots for someone you’ve just been friends with for a while? Well, that’s Stockholm: ordered on the surface, a bit of a goer underneath. Under the arches of City Hall, there’s a fine wide angle of Södermalm island, the Soho quarter: spiny church towers, facades in spice-jar shades – all textbook Stockholm", says Sunday Times Travel Magazine. World Travel Guides have chosen their ten "top destinations 2010". From lush Colombian greenery to the gleaming streets of Stockholm, here's a heads up on the places offering travellers the most over the next 12 months. "Sweden's stylish capital is leading the eco way over the next 12 months as the European Green Capital. Gleaming Stockholm is a mesh of 14 islands, slick architecture and fresh green spaces; the city's public transport system largely runs on renewable fuels and Stockholm releases a whacking 50% less green house gases than the national average. A network of pretty cycling routes provides visitors with plenty of eco-friendly sightseeing opportunities, and the addition of clean streets and polite (and extortionately good-looking) people make Stockholm a thoroughly pleasant stay. Once an appetite has been worked up by wandering the city's many art galleries, a platter of fresh seafood is never very far away." Readers of the prestigious Condé Nast Traveller have listed their favorite hotels in the World. 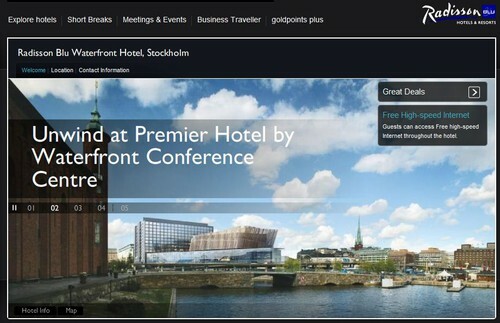 Grand Hotel in Stockholm is listed on the top list from a design perspective. 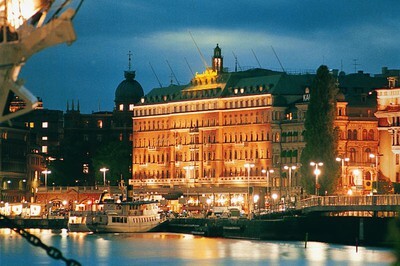 "A Stockholm landmark since 1874, the Grand overlooks the harbour and Royal Palace. There are 368 rooms and suites, among them the 3,552sq ft Lilian Suite with its private screening room, kitchen and library. A new two-storey spa with eight treatment rooms and a gym recently opened in the Burmanska Palace wing. X-factor The only Swedish chef to have won the Bocuse d'Or, Mathias Dahlgren is in charge of the two-Michelin-starred dining room, Matsalen, and one-Michelin-starred food bar, Matbaren"
Sheraton Stockholm is the most popular hotel in Stockholm according to the customers using the hotels.com site. Hotels.com have made a top list of the hotels with more than 100 guest rates. British Airways travel experts have chosen their ten most important destinations in 2010. 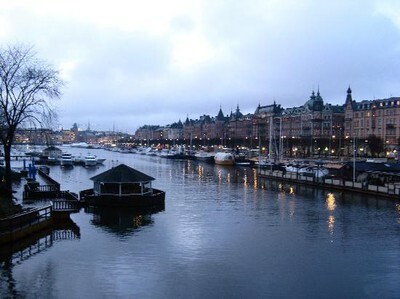 Stockholm is the only city in Scandinavia found on the top ten list this year. Stockholm is found in the number eight spot. "Regularly voted one of the best cities in the world to live in, Stockholm has become the model city for others to follow. Europe's epicenter of biodiversity and ecology will celebrate its official title of "European Green Capital" in 2010, making it a popular choice for ecotourists. "says British airways. "The hostel is full of contrasts. Its close to nature yet central. Guests have excellent opportunities for outdoor excercise yet offers something out of the ordinary indoors. The hostel lives its versitile and interesting history yet offers modern service and freshness. 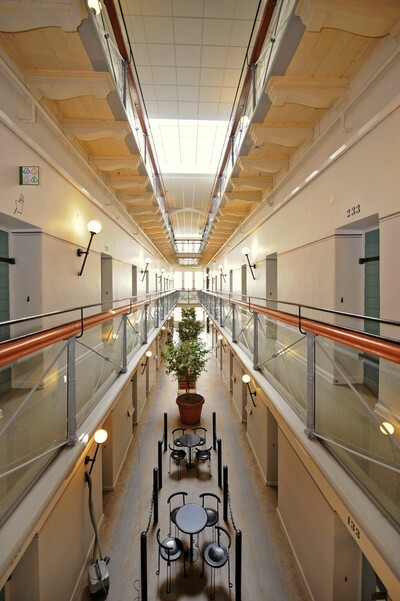 the culinary profile is something that former prison guests only could dream about". The city of Stockholm just got awardet Swedens quality municipality (Sveriges kvalitetskommun) for the best service to the inhabitants in the city. Story Hotel won the Best Restaurant Design award at the European Hotel Design Awards 2009. Story Hotel also got nominated in the category: Best conversion of an existing building to hotel use and Lydmar Hotel in Stockholm was nominated in the category of best Suite. Stockholmtown.com has been awarded Sweden's best city guide website and one of Sweden's 100 best websites by Internetworld magazine! "After a visit to this Official Visitors Guide website, Stockholmtown, we do not want more than to book a weekend trip to the capital - despite the fact that we already live here! The brand new site offers beautiful images, fun tips and dynamic charts based on the number of views, and the visitor's own ratings and comments. I click on a cafe, I get tips about a guided sculpture walk and the hottest club on Wednesdays. The rating system is admirably simple and it is also easy to share content with friends." The award ceremony was a grand slam to Stockholm - Stockholm.se also won in its category, "Best Municipality site" and the "trafiken.nu" trafic site in Stockholm was also found on the top 100-list. Interactive exhibitions, virtual tour guides, movies, DJs. Times online lists the 12 coolest places for learning and the Vasamuseum is one of them. "Here’s a museum with just one exhibit — but what a humdinger. The 17th-century oak warship Vasa is Sweden’s Titanic: hauled out of Stockholm harbour in 1961, 333 years after sinking on its maiden voyage, the ship is a Pirates of the Caribbean fantasy, writhing with multicoloured carvings of emperors and dragons, and squeezed so hugely into the shadowy hall that you fear it’s going to burst the sides. You can swarm everywhere, peering into portholes and checking out the movies and models that bring the ship’s tragicomic history to life."